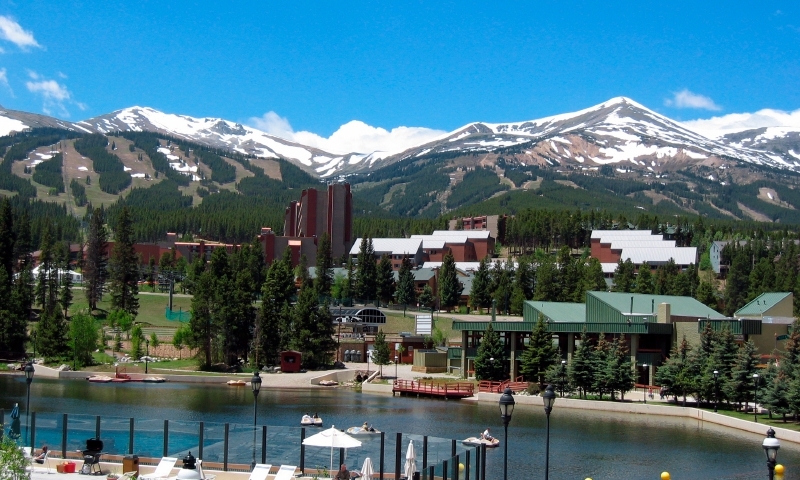 Breckenridge offers many fun activities and attractions. At just under 10,000 feet Breckenridge is breathtaking, literally! Just ten miles off highway 70 you enter a quaint, historic town that feels storybook like with old mining buildings and plenty of activities to keep you and your family entertained for as long as you'll be there. Whether your the skiing or fireplace type, my top ten list is sure to add to your list of must-do's while in town. Everyone should take a stroll down Main Street to check out the more then 200 shops catering to both visitors and residents alike. From small antique shops to Breckenridge souvenir shops you are bound to find gifts for everyone on your list. There are plenty of restaurants, coffee shops and bars along the way for mid-shopping rest stops. Breckenridge boasts the largest Historic District in Colorado. They also recently completed a 4,000 square foot welcome center which acts as a visitor center and history museum. The center offers self guided walking tours and information on the historic museums throughout the town. Take an afternoon to explore the rich history of this amazing place, you won't be disappointed. Who said ice skating was only meant for the winter. Breckenridge offers indoor skating year round and outdoor skating from September through April. The Ice Arena offers skate rental, a pro-shop, locker rooms and concessions. The Center offers daily public skate sessions and lessons, plus drop in hockey sessions. Its a great place to bring the kids for the afternoon or to just brush up on your skills. One of my favorite hidden spots in Breckenridge is the town Recreation Center. After a few long days of shopping and eating great food or just looking for some way to wear out the kids, the recreation center offers something for everyone in the family. Climbing walls, outdoor hot tubs, water slides, a number of exercise classes plus much more. It's affordable, state of the art and a great way to burn a few extra calories. Although you may only think of Alpine skiing when you hear Breckenridge, the town offers two amazing nordic centers with kilometers of trails for skiers beginner through expert. Rentals and lessons are available at both locations. Breckenridge has the only Jack Nicklaus designed municipal golf course anywhere in the world. If you're visiting in the summer and like to swing a club, it's worth a day on the course. Even if you aren't a golfer, lessons are available as well as a driving range to just get a bit of practice. What would a trip to Breckenridge in the winter be without a day on the slopes. Breckenridge Ski Resort offers 28 lifts, a world class terrain park and of course, incredible snow. Sign up for some lessons or just hit the slopes! WIth a gondola available for easy transport from town to the mountain you'll think twice about skiing anywhere else in the near future. The National Repertory Orchestra and the Breckenridge Music Institute offer concerts, classical and non-classical, throughout the summer at the Riverwalk Center. They also offer a variety of children's concerts and activities. If you're visiting in the summer, track down a schedule and don't miss the fun. Breckenridge also offers free performances on Main Street every Friday, Saturday and Sunday night throughout the summer that include music, theatre, sports and kids activities. The Arts District is located in the heart of downtown Breckenridge, perfectly accessible for visitors. The district offers indoor and outdoor spaces for events, classes and performances in a pedestrian friendly atmosphere. If you're interested in the arts its well worth figuring out which artists are currently in residence and if there are any classes you and your family would be interested in attending. Breckenridge is tucked into some of the most breathtaking mountains I have ever seen, the Tenmile Range. If your trip happens to fall in the summer, late spring or early fall, hiking and mountain biking are a must. Check with local shops for maps and more information and always be prepared for summer storms. If you're feeling adventurous, make a day trip out of climbing the closest 14,000 mountain to Breckenridge, Mt. Quandry. It's not a technical climb but the distance and elevation make this only appropriate for experienced hikers.